International Medical Corps helped residents of Somalia and Yemen celebrate World Water Day on March 22nd, with gatherings at our program sites in both countries that included promoting proper hygiene, sanitation, safe and clean water storage and children’s competitions focusing on the knowledge of good water and hygiene practices. 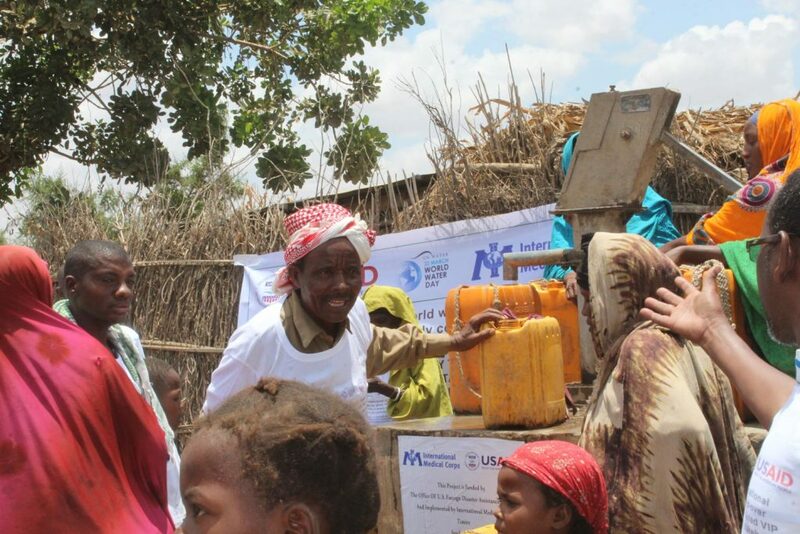 In four districts of South Central Somalia, International Medical Corps teams handed over 21 rehabilitated shallow wells and 90 newly-built latrines to local authorities in formal ceremonies. Those attending heard messages about water conservation, the chlorination of shallow wells and the importance of proper hygiene and drinking treated water. 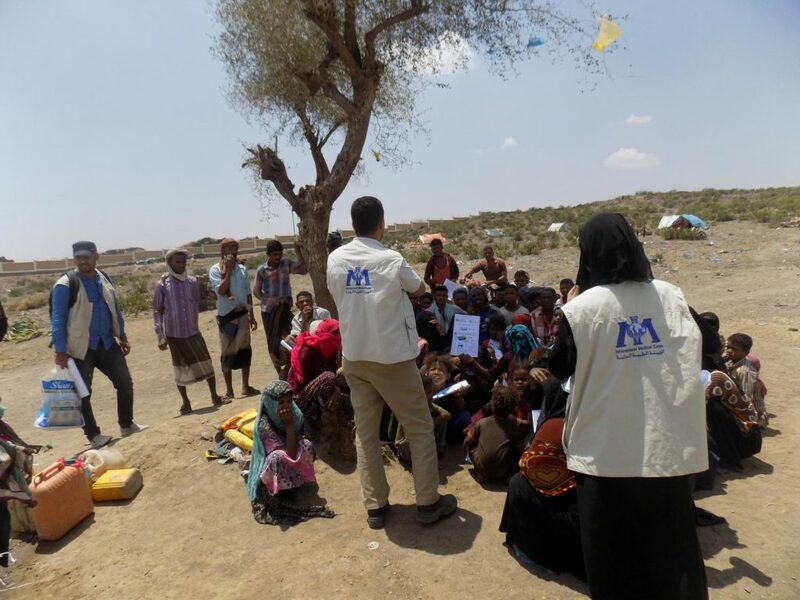 In Yemen, we conducted events at the al-Shorman camp for internally displaced persons (IDPs) in Taizz Governorate. Activities included hygiene promotion and instruction on water tank and jerry can cleaning. Soap bars were distributed to camp residents, while children engaged in a competition showing off their knowledge of good hygiene practices and behavior. Winners received small gifts, including cleaning tools. Water is a prized and precious commodity in these countries, where water and food security are major concerns. 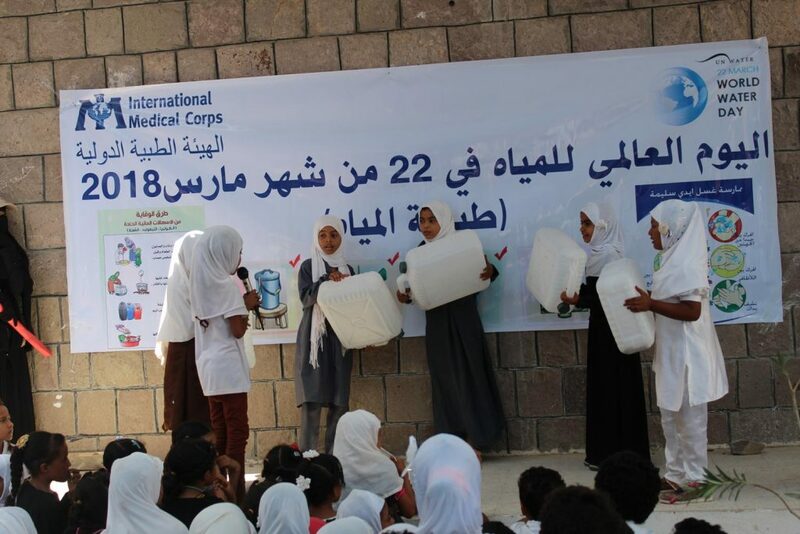 International Medical Corps operates emergency water, sanitation and hygiene (WASH) programs in both nations. In Yemen, our WASH work includes supplying nearly 50 health facilities with regular deliveries of chlorinated water, enabling them to remain open to serve their communities, while at the height of the country’s major cholera outbreak in 2017, we operated more than 60 treatment centers and oral rehydration points to assist those showing symptoms of the disease. In Somalia, a country in the throes of a prolonged drought, we have undertaken a series of measures to boost access to fresh water, including the provision of safe drinking water to more than 25,000 residents of villages in the Mudug region to prevent deaths due to dehydration and reduce the risk of disease.